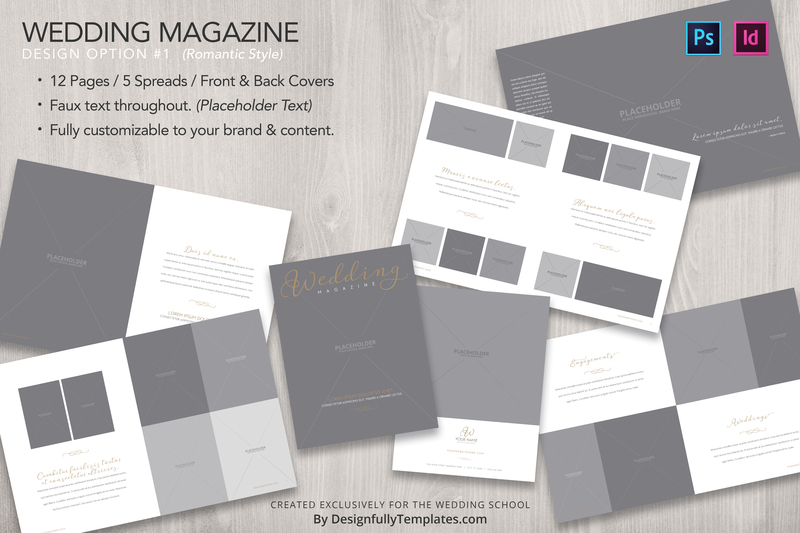 This robust bundle of our most popular products includes the following templates for wedding photographers! 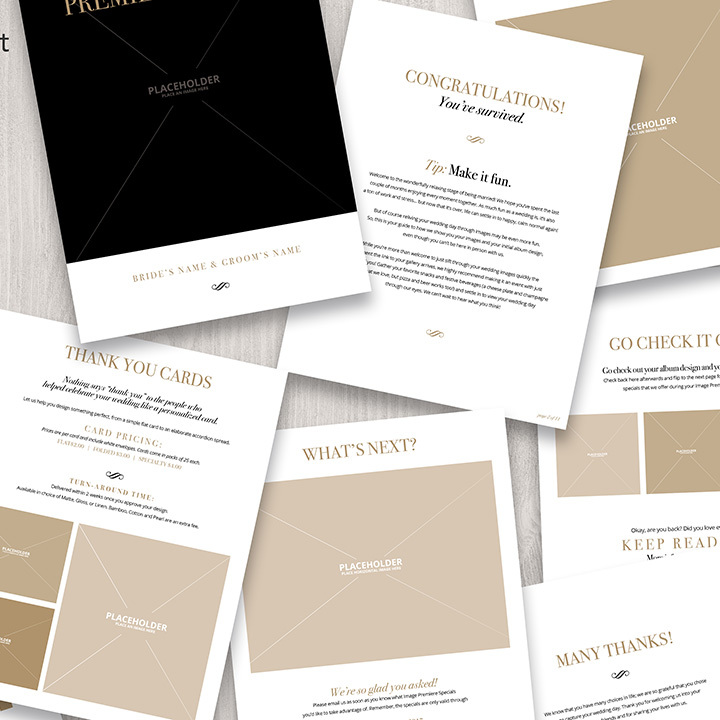 RSVP Email Templates : From start to finish, learn how to communicate with your clients! 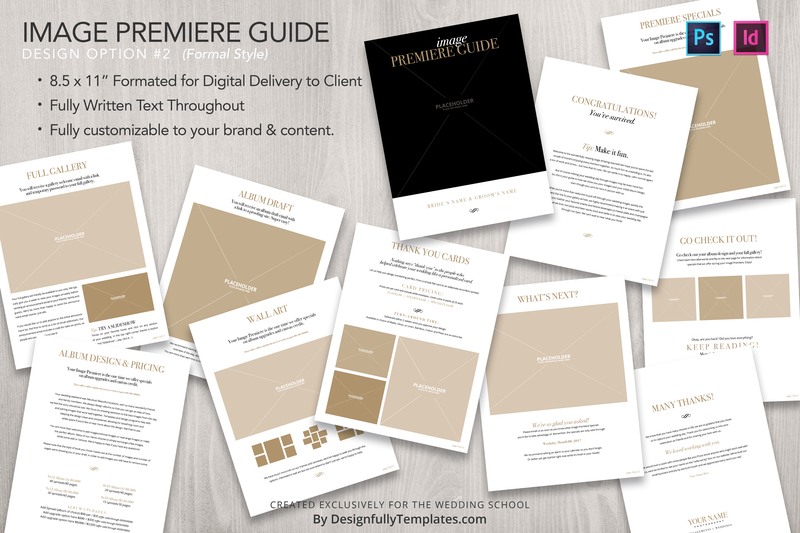 You’ll receive templates for responding to inquiries, dealing with difficult situations, answering common client questions, and more. 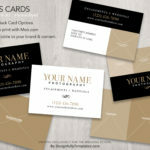 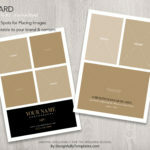 Business Card Templates : These templates are perfect for business card designs! 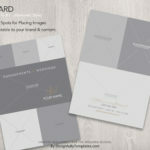 Folded Pricing Card Templates : These templates are perfect for sharing your pricing with potential clients! 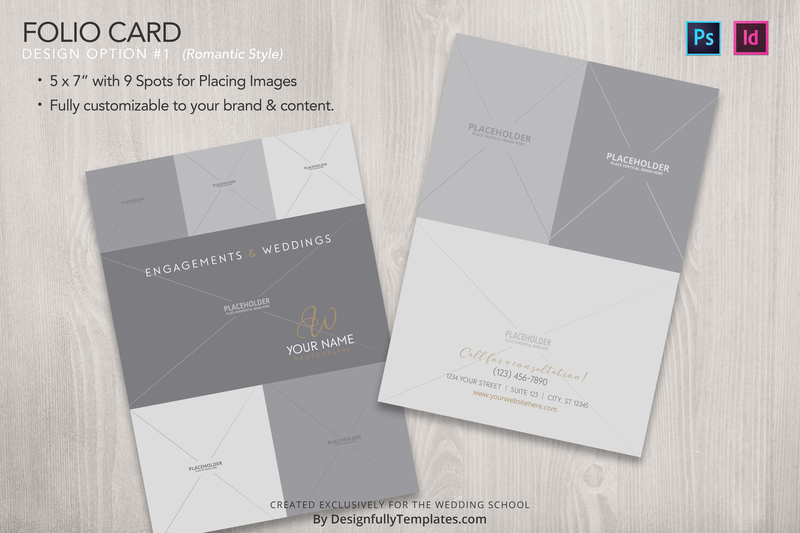 Folio Card Templates : Susan Stripling uses these as giveaways to vendors and venues, thank you cards for clients, and more! 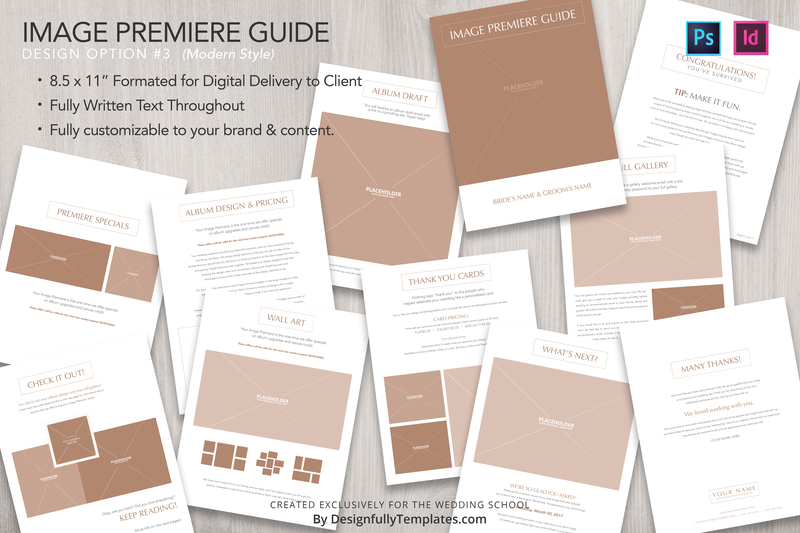 Image Premiere Guide Template : This brilliant template from genius photographers Emily and Steve Pogozelski is the perfect way to deliver your images to your clients! 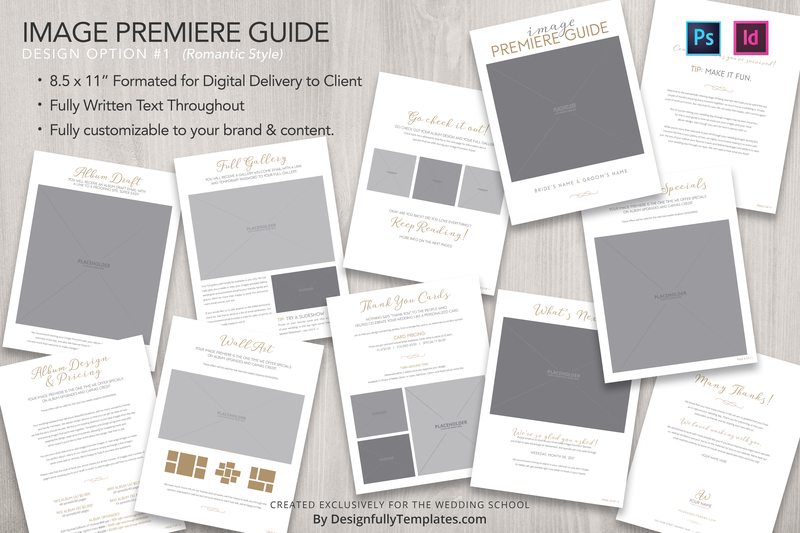 Fully customizable for each client, this template offers up information about their album drafts, gallery information (from how to access it to how to use it), info about image premiere specials, pricing for albums, wall art, and thank you cards…and SO MUCH MORE. 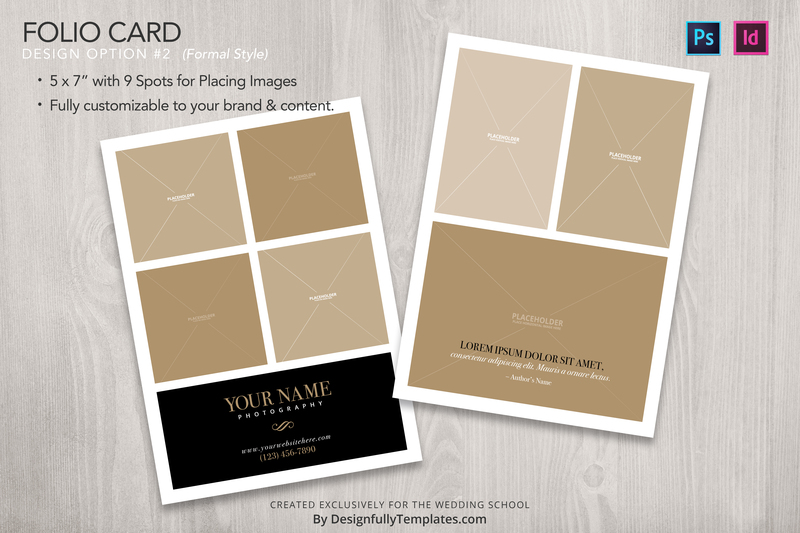 Take your image delivery to the next level with this template, which also includes all the text you’ll need to get started! 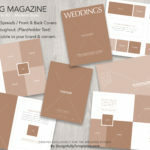 Wedding Photography Magazine Template : Have you ever wanted to create a unique welcome magazine for your wedding photography clients? A magazine that gives them all the information they need about their engagement session, wedding, or bridal session? 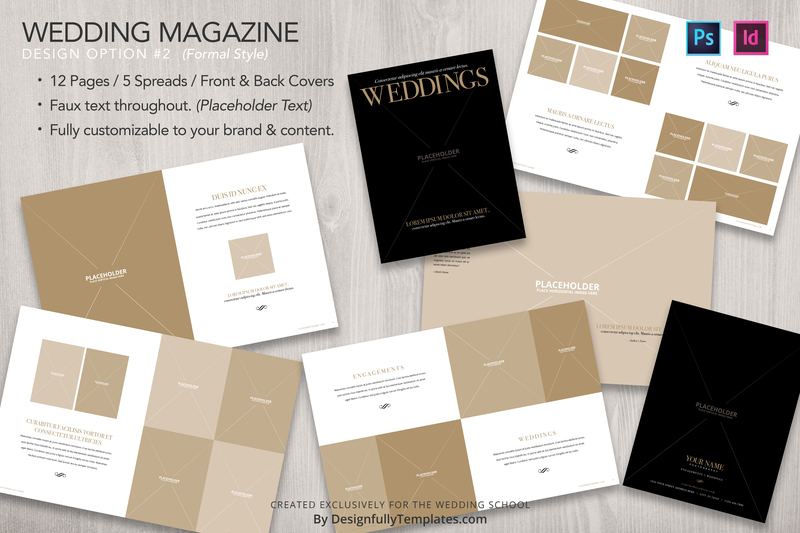 What if you want to make multiple magazines to deliver to different types of clients? 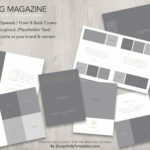 Choose from three unique design styles and start making your perfect magazine today! 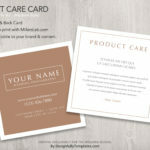 Product Care Cards: Want to drop a nice card in the album delivery to let your clients know how to care for their heirloom book? 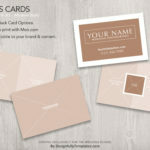 What about print sales, or other client deliverables such as USB drives? 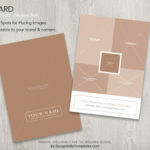 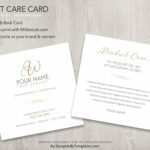 This customizable product care card will be the perfect addition to your wedding day deliverables! 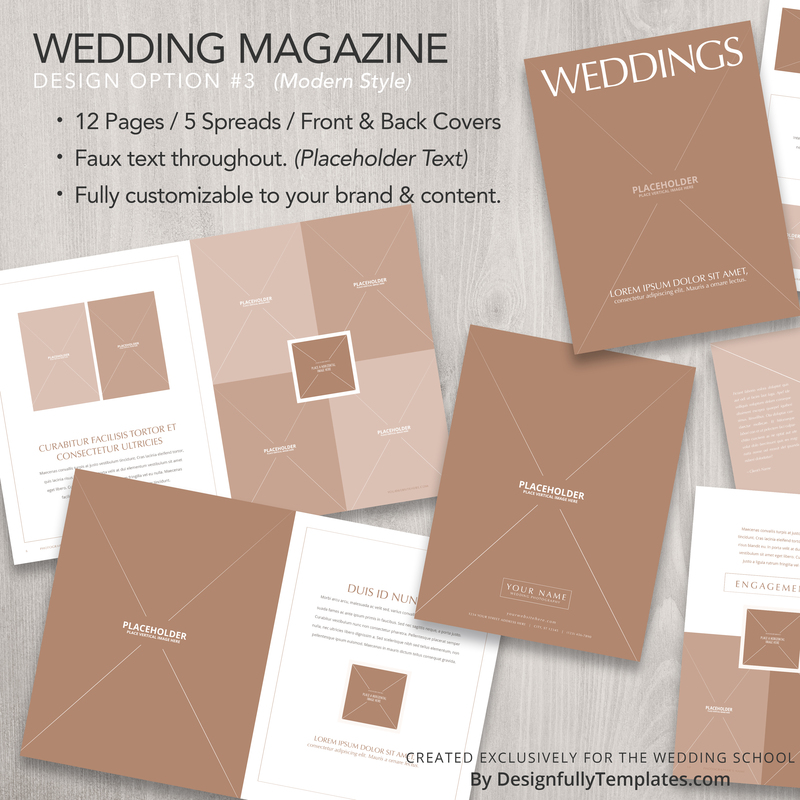 Wedding Day Worksheet Template : Grab just the text and add it to your studio management software, or customize this template to email and send to wedding clients! 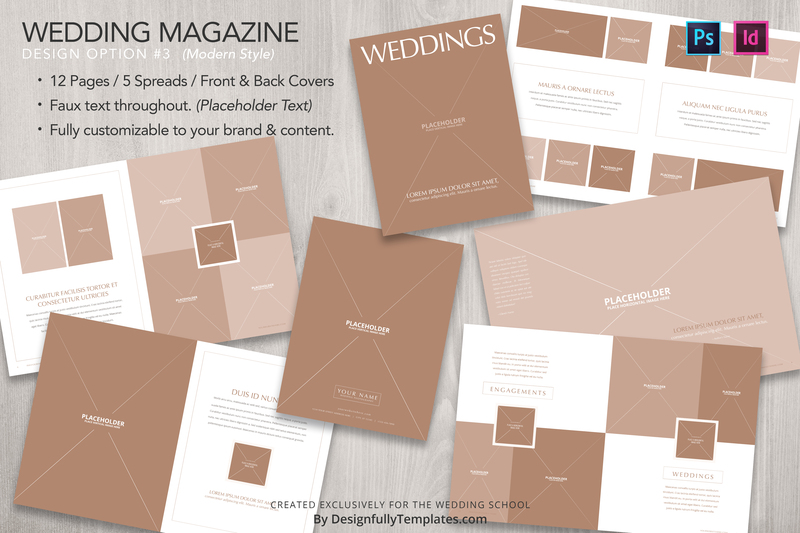 This worksheet is mentioned in our popular Wedding Worksheet video, and is the perfect way for you to gather information for your upcoming weddings! 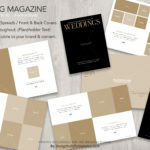 Wedding Workflow : Are you struggling to keep your workflow on track? 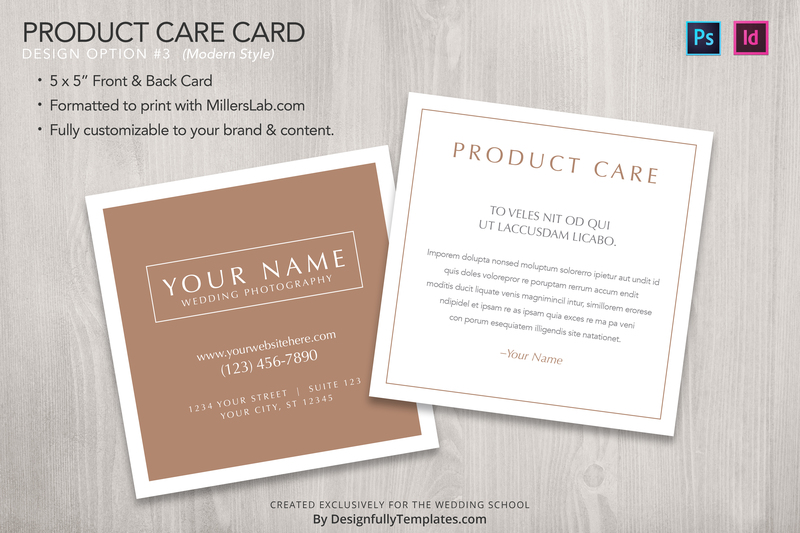 This completely customizable template is perfect for adding to your studio management software, or simply printing for each individual client! 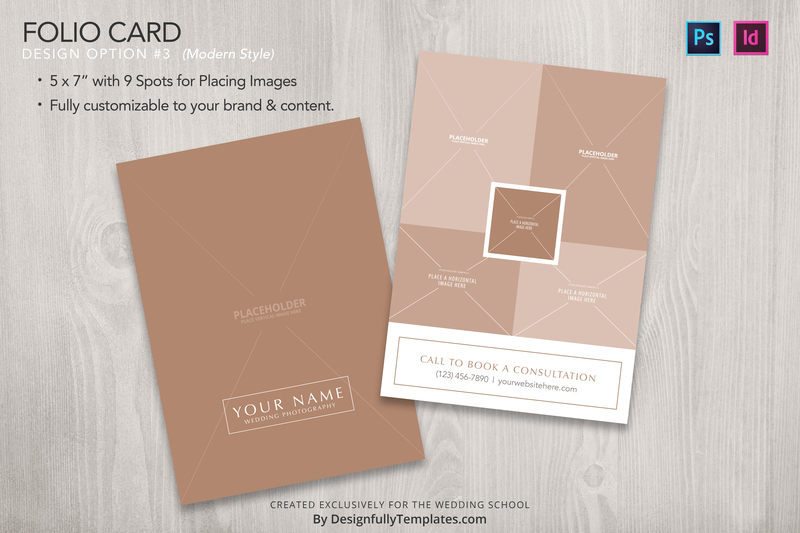 Stay organized and efficient with this simple-to-use template! What does each template come with? 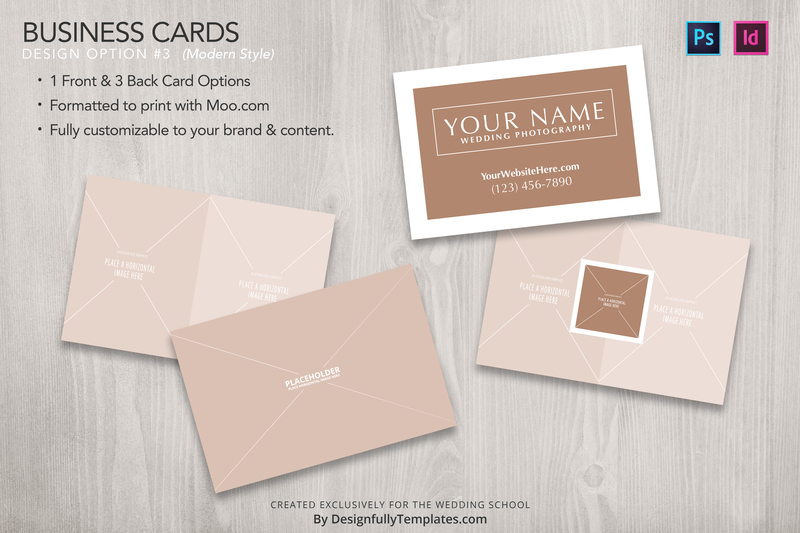 You will receive both InDesign and PhotoShop compatible files for each template. You will also receive a set of previews. 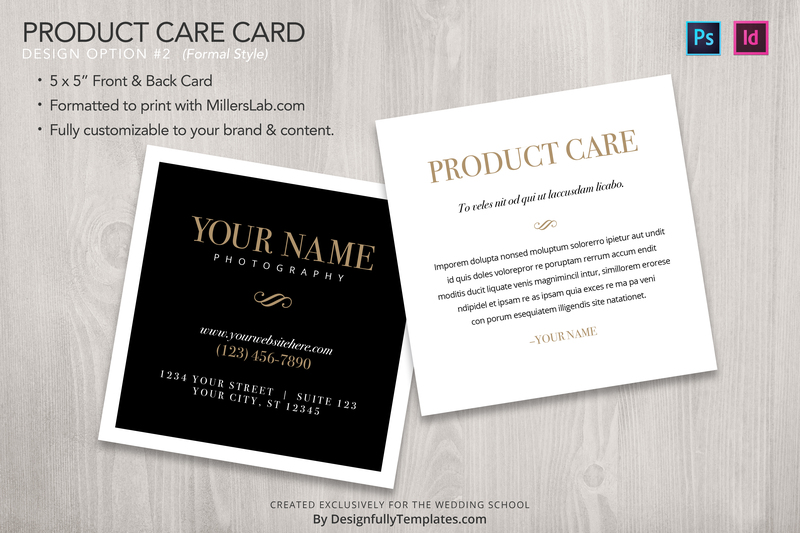 You will also have access to three design styles for the business card, folding pricing card, folio, premiere guide, magazine, and product care card templates. 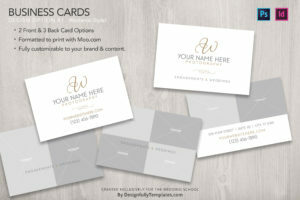 This way you can choose the style you like best and customize it completely! 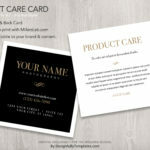 Do we need to write the text for our own products? 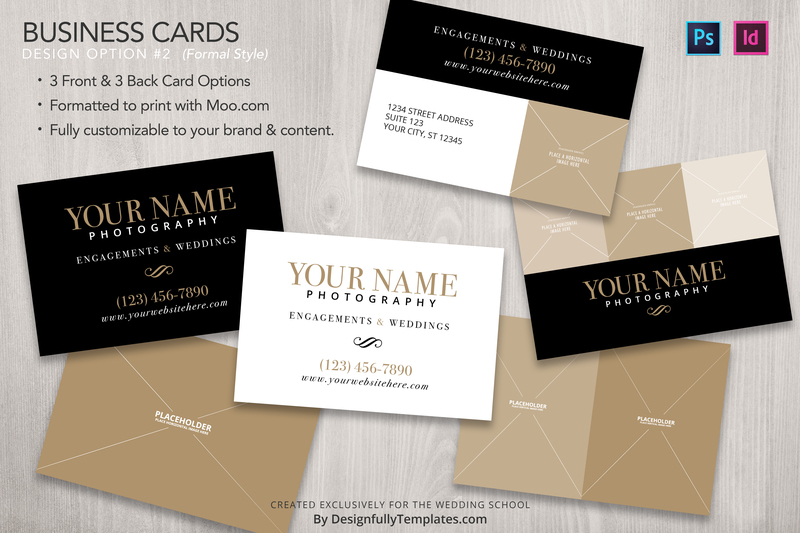 Yes…and no. 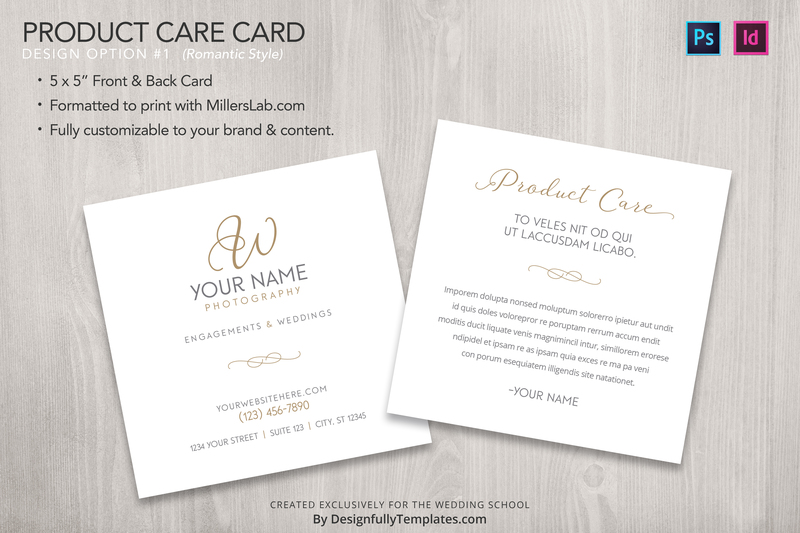 Many of the templates have prompt text included, leaving placeholder text for you to customize to your particular business needs. 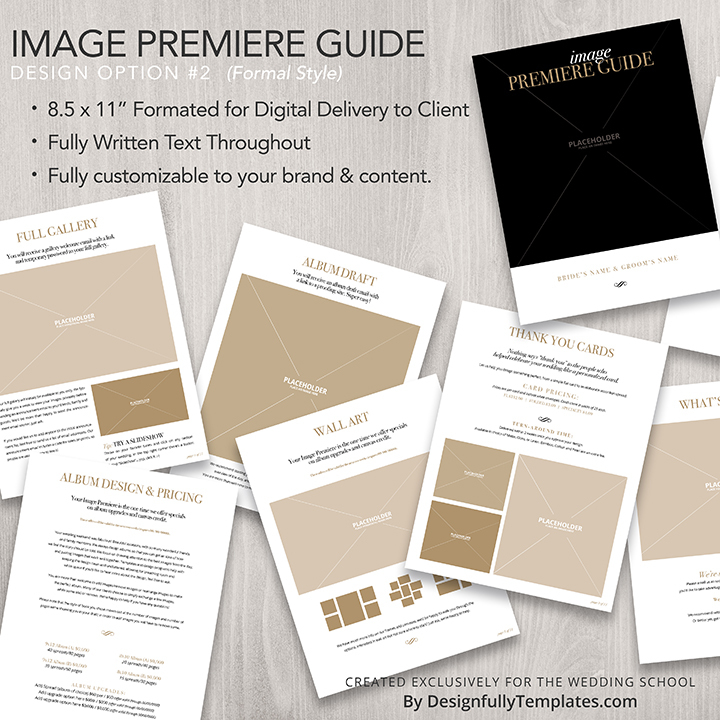 The image premiere guide comes pre-loaded with all the text you need! Just tweak to suit your business and your offerings, and you’ll be ready to go.